Which dog breed is best for me? That's a question best asked before you bring a dog home. Learn about the basic characteristics for each of the seven groups of dog breeds. This will help you narrow down your choices to breeds you want to research more closely. Sporting dogs are magnificent animals that have an abundance of energy and a great desire to please their human companions. They were originally developed to hunt and retrieve, so they require a great deal of exercise and mental stimulation to keep them healthy and well-behaved. These dogs are best suited to an active lifestyle where they will be able to accompany their people in a variety of activities, including field sports. They are not suitable for protection dogs since they have been bred to work closely with people and cooperate. Here is the AKC list of Sporting breeds. Hounds are friendly, yet rather independent. They were originally bred to track prey through either scent or sight. They are slightly less energetic than Sporting dogs, but they have a great deal of stamina. This makes them calmer companions that usually display good sense in most situations. That said, you should keep them fenced in or leashed whenever outside unless you are working them in the field because they have a tendency to take off on the trail of game at a moment's notice. Hounds are not particularly adept as guard dogs, although they are very loyal to their people. You can find the perfect Hound in small through large sizes. Here is the AKC list of Hound breeds. If you're looking for a dog that wants to be useful, Working dogs were bred to perform a variety of services. Most of these breeds are fairly large and strong, and their intense loyalty to their family usually makes them natural guard dogs. Additionally, these dogs usually make great service dogs for search and rescue work. Training should begin early with these dogs to gain sufficient control before they are fully grown. Here is the AKC list of Working breeds. If you prefer a dog that is capable of thinking for himself, consider a Herding dog. These dogs make highly useful companions that are loyal and keenly intelligent. They also have a lot of energy, so they need as much exercise and mental stimulation as most Sporting dogs. Without these outlets, these dogs become frustrated and can resort to destructive behaviors. Herding dogs tend to do very well in agility and herding trials. Training is absolutely essential if you're going to live with one of these breeds, but you'll be well rewarded for your efforts. Here is the AKC list of Herding breeds. If you can appreciate a dog that is as feisty as he is intelligent with a touch of mischievousness thrown into the bargain, check out the Terrier group. These dogs were developed to hunt and kill nuisance animals, and they are extremely tenacious. This means they are not the ideal dogs to keep if you have other small pets in the home. Additionally, they tend to be scrappers, so often do best as the only dog in the home. Still, they provide a lot of affection and loyalty to their human companions. If you're willing to provide consistent training and a lot of structure, a Terrier may prove to be the answer to the question of "Which dog breed is best for me?" Here is the list of AKC Terrier breeds. If you are looking for an adorable small dog whose only true desire in life is to love you, the Toy Dogs group is the place for you. These dogs come in a variety of looks, but they were all developed to be loving companions. Some display more intelligence than others, but all are quite devoted to their humans. These dogs do have some guard dog instincts, but they are more useful as alert dogs because of their small size. This means that most tend to bark at least a little, and often quite a lot. Training is useful, but early house training is essential to preserving your floors and furniture. Here is the AKC list of Toy breeds. This is a very diverse group of dog breeds that don't quite fit the profile for the other six groups. 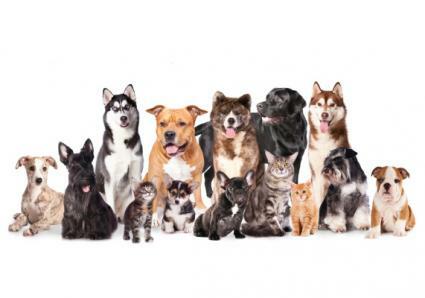 You'll find dogs of various sizes, temperaments and coat types in this group. What they all tend to have in common is intelligence and trainability. And don't let the "Non-Sporting" description keep you from considering one of these breeds. Poodles make excellent hunting dogs. Here is the AKC list of Non-Sporting breeds. So, Which Dog Breed Is Best for Me? Now the real work is ready to begin. Take a look at individual breeds within the group that most closely fits your ideals for a canine companion. The truth is that you can never be sure which breed is best for you until you meet that special dog in person. When you do, you'll feel the connection in your heart.